Students from the John Marshal School No. 20 in Elizabeth, N.J., perform a number from "The Lion King" as part of the Disney Musicals in the Schools Program. The Walnut Street Theatre has announced five Philly schools that will participate in the program. The Walnut Street Theatre has announced that five Philly elementary schools have been selected to take part in the Disney Musicals in Schools program. Each school will produce a 30-minute Disney KIDS musical at no cost to the schools. The five schools are New Foundations Charter School, MAST Community Charter School II, Henry C. Lea Elementary, Russell Byers Charter School, and H.B. Hackett Elementary. 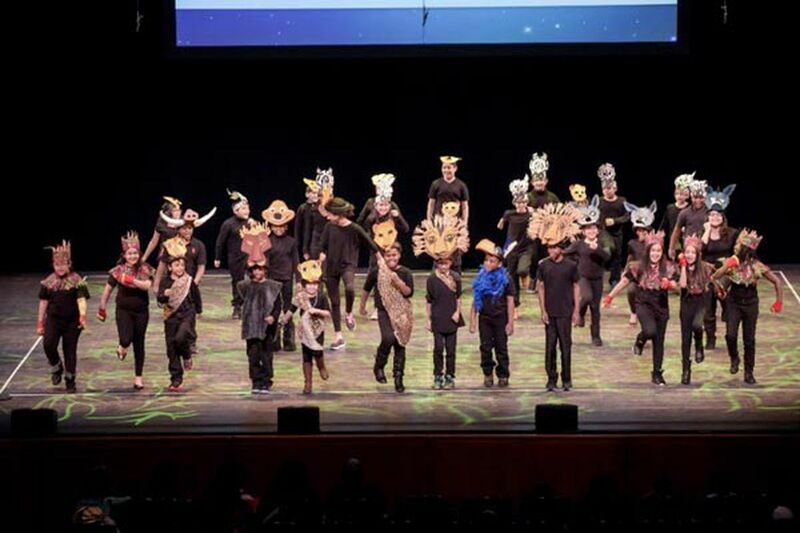 Developed by Disney Theatrical Productions, the Disney Musicals in Schools Program seeks to create sustainable theater programs in under-resourced elementary schools. The $120,000 grant to the Walnut Street Theatre was announced in September. Each school gets rights to a musical, along with education support materials. Schools take part in a free 17-week musical theater residency, led by a team of teaching artists trained by Walnut and Disney Theatrical Productions. Teachers work with the artists to learn how to produce, direct, choreograph, and music-direct, and bring these skills back to their students as they work up their musicals. The Walnut will select another five schools for 2019-20. There are six Disney KIDS musicals, each based on a Disney film: 101 Dalmatians, Aladdin, The Aristocats, Cinderella, The Jungle Book, The Lion King, and Winnie the Pooh. Besides the performance at each school, the Walnut will host an event in which each school performs one number from their show.